Born in a hidden village deep within the British Alps, John Allison came into this world a respectable baby with style and taste. Having been exposed to American comics at an early age, he spent decades honing his keen mind and his massive body in order to burn out this colonial cultural infection. 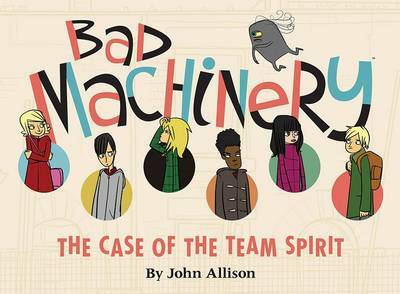 One of the longest continuously publishing independent web-based cartoonists, John has plied his trade since the late nineties moving from Bobbins to Scary Go Round to Bad Machinery, developing the deeply weird world of Tackleford long after many of his fellow artists were ground into dust and bones by Time Itself. He has only once shed a single tear, but you only meet Sergio Aragon s for the first time once. John resides in Letchworth Garden City, England, and is known to his fellow villagers only as He Who Has Conquered.